In 1998, we found out that analogue sound was back - or more accurately, that it had never really left. We talked to musicians who told us about the market and what makes analogue sound so special. We got so excited about it that in the summer of 98, we put our hearts and souls into developing our second analogue synthesizer, which we named the Cwejman Analogue Workbench. Many years of experience in the design and construction of electronics resulted in a completely new solution for the sound circuits. They are very different from the circuits built in the 60s and 70s and produce significantly better sound quality. And you can see our industrial experience in the compact and robust design of the instrument. We develop and produce analogue musical instruments and equipment for musicians who demand options as unique as the music they create. We have now many interesting products in the pipeline, made with the same focus on detail and quality and with pure Cwejman sound. 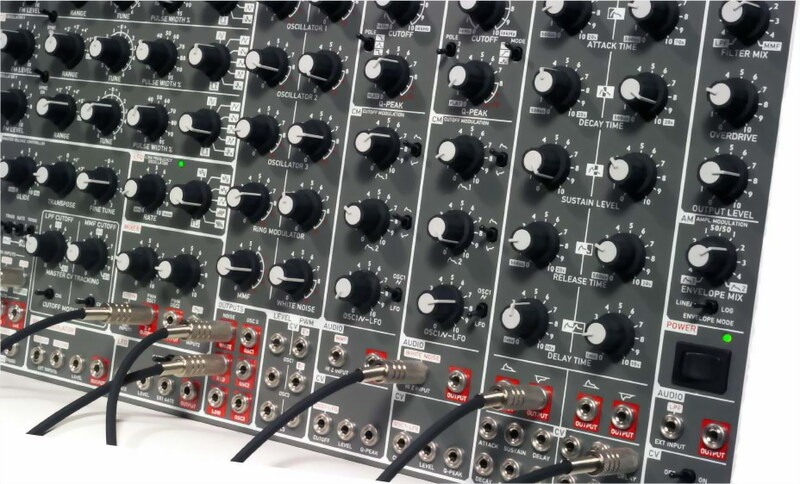 Our current products are CWEJMAN S1 MK2; a semi modular analogue synthesizer and modules for the 19' Eurorack systems. The S1 MK2 is now updated for even better mechanical and music quality. Modules are developed just recently (summer 2006) and they represent the same high build and sound quality as the "flagship" S1 MK2. Look close at pictures and spec's and discover the complexity of every module. The best pure analogue mixing console in the World.